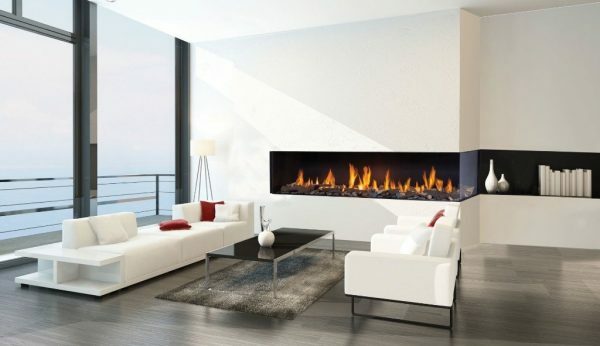 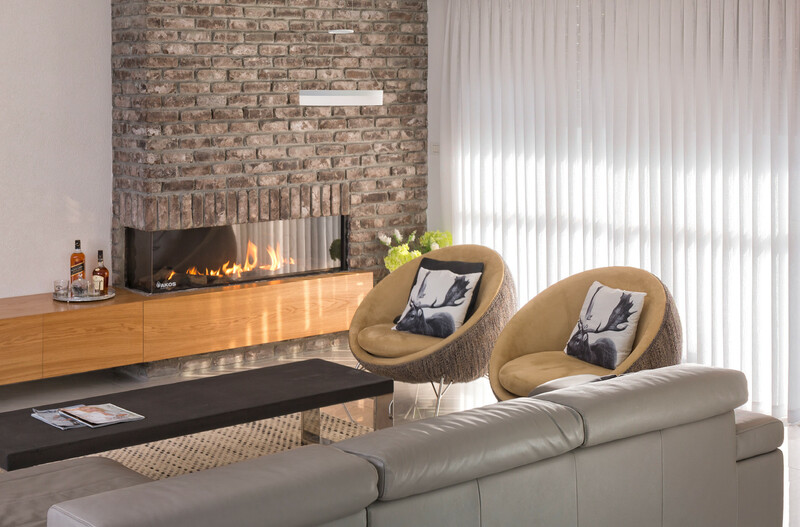 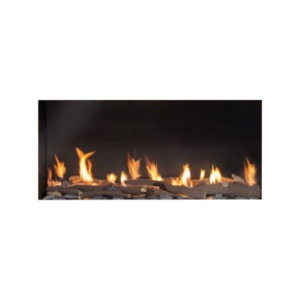 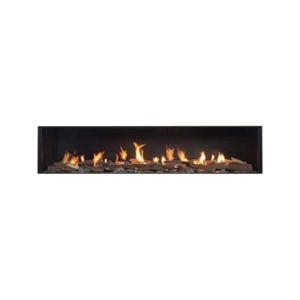 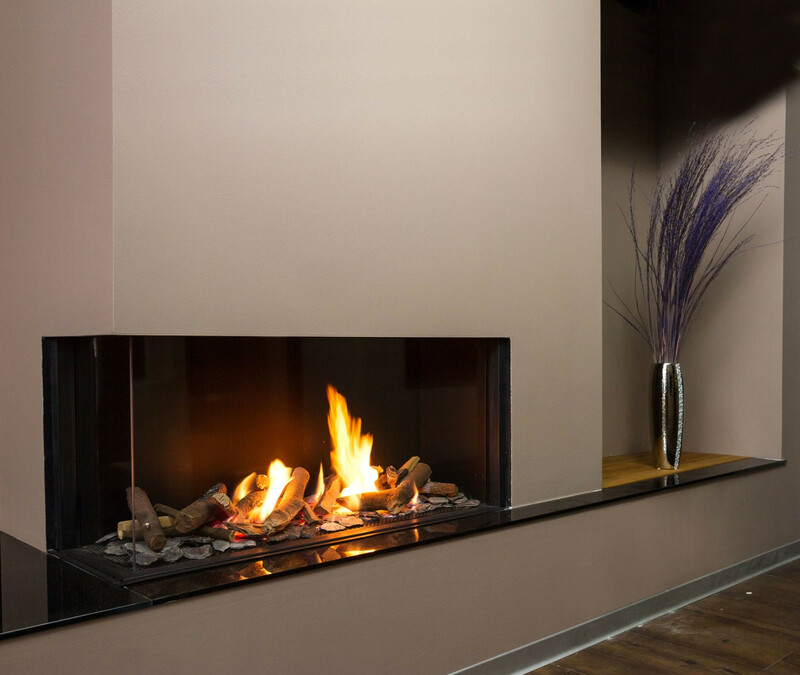 Corner fires are synonymous with contemporary interior design. 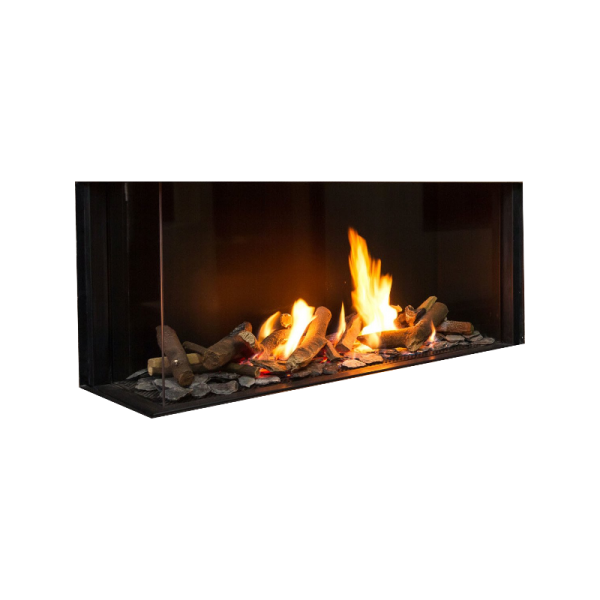 Completely frameless in design, our Uranus corner fire incorporates a side viewing window, allowing you to see the beautiful flame picture from a very different angle – adding intrigue and excitement. 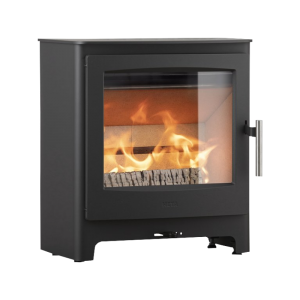 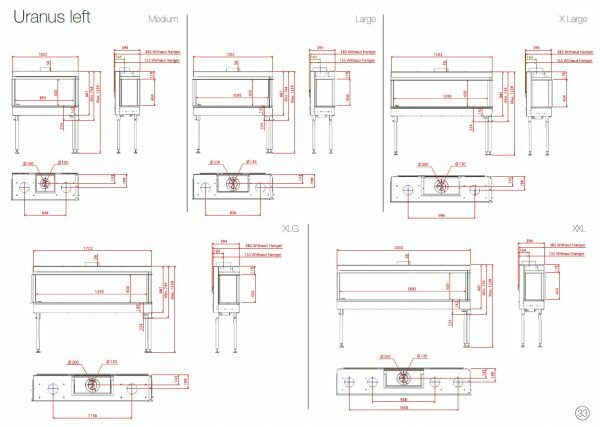 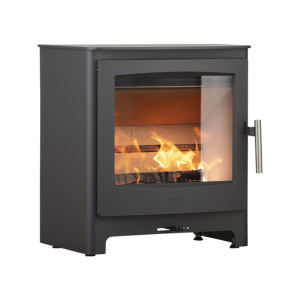 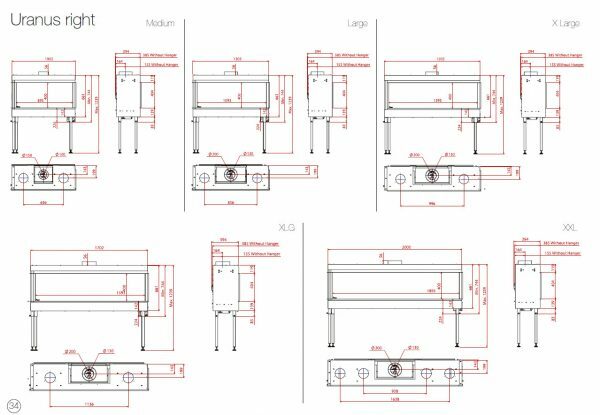 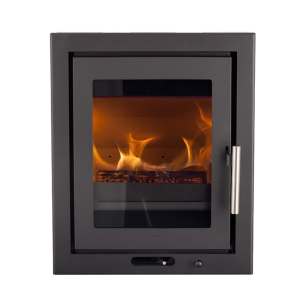 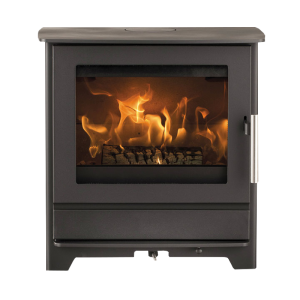 AKOS’ clever ‘step’ burner design ensures when you wish to reduce heat output, you can do so without compromising the flame picture. 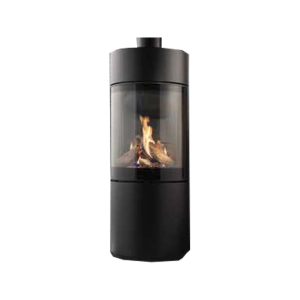 To allow you tailor the Uranus to your very own requirements, all models are available with a choice of a Basalt stone, pebble or log firebed and supplied complete with matt fireback as standard. 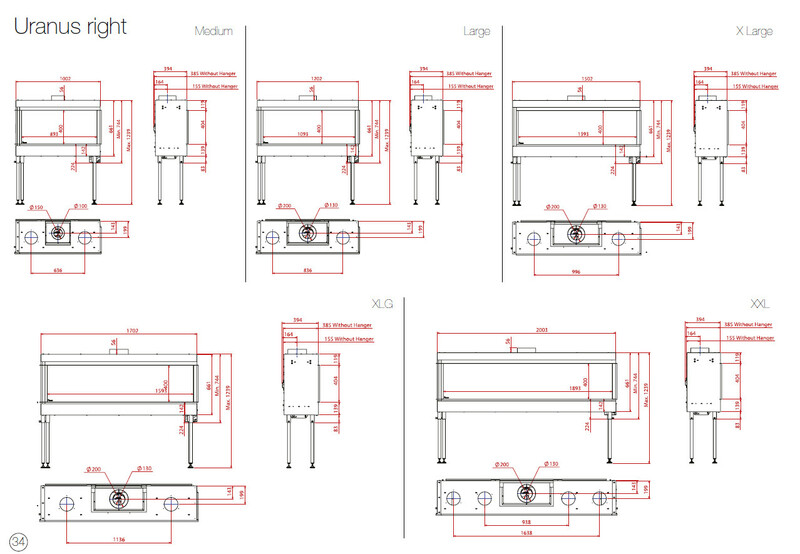 All models are A rated for efficiency.